Set in locales as diverse as a fictional town on the Northwest coast and a Connecticut boarding school, these stories chart physical and emotional landscapes with equal precision and grace. Vacationers dawdle in souvenir shops. Locals quietly observe the superstitions of the sea. A woman, overcome by the loss of a child, runs her car into a Victorian house, only to be adopted by the house's elderly residents. A killer on the loose prompts a newlywed couple to employ a mannequin as a decoy for marital bliss. Again and again Adrianne Harun displays a unique ability to view the world from a dazzling array of perspectives. 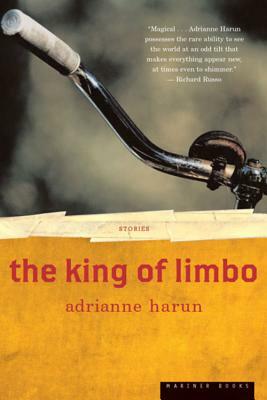 The King of Limbo confirms the arrival of a writer to watch. Adrianne Harun’s stories have appeared in numerous journals, including Story, where Harun won first place in the annual short-short competition. She has received a Nelson Algren Award from the Chicago Tribune and a MacDowell fellowship. Harun lives in Port Townsend, Washington.